Order in the next 7 hours 5 minutes and it will ship today! 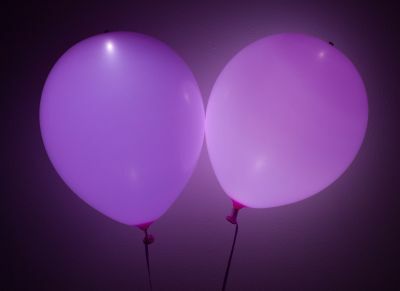 These balloons contain a bright LED light inside a pink balloon. By pressing the button at the tip of the balloons, they toggle between fast flashing, slow flashing, and steady on. Use these at a gender reveal party or birthday celebration!